Show#192 Interview with Ray Cepeda Founder of ABAskills. On Monday night at 8pm, be sure to tune in for our newest episode of Hope Saves the Day on Autism Radio Tonight's Show is with Our Guest Ray Cepeda. 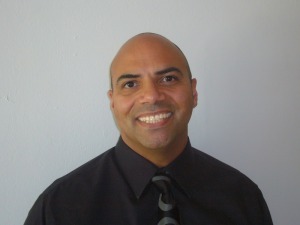 Ray Cepeda, BCaBA is the Founder and Director of ABAskills, LLC, a private consultation firm specializing in the education and treatment of children with autism and related learning differences. Mr. Cepeda gained his initial experience under the tutelage of consultants trained by Dr. O. Ivar Lovaas. After being hired by the Institute and mentored by Scott Wright (CEO of Lovaas Institute) he became a Workshop Leader and was subsequently promoted to Clinic Supervisor. During his time with the Lovaas Institute Mr. Cepeda was instrumental in establishing a Lovaas Institute satellite office in South Orange, NJ where he supervised and trained a number of ABA therapists to implement the Lovaas model of applied behavior analysis. He completed BACB coursework requirements in applied behavior analysis with Dr. Vincent J. Carbone, Ed.D, BCBA and completed the BACB mentorship requirement with Dr. Bobby Newman, Ph.D, BCBA. He has had twenty years experience supervising home-based programs, functioning in administrative roles at the McCarton School in New York City, The ELIJA School on Long Island and The Brooklyn Autism Center in Brooklyn, NY (all schools that specialize in the education and treatment of children with autism utilizing the principles of applied behavior analysis), consulting with school-based programs in New York, New Jersey and Arizona, integrating and mainstreaming learners with autism into typical learning environments, training parents, and speaking at local and national conferences on topics regarding the use of behavior analytic teaching methodologies and program individualization for children with autism. Mr. Cepeda is a former recipient of the Award of Distinction from Long Island Advocates for his dedication and service to the autism community, a member of the Human Rights Committee for the New York Center for Autism Charter School in New York, NY and is the “applied” member of the committee to evaluate the behavior analysis coursework leading to board certification in behavior analysis at Arizona State University. Please Visit http://abaskills.com/aba-skills-teaching-children-how-to-learn/ To Learn More About This Service that you can get for Our Children. Older PostShow#191 Paul Cimins Talks About GPS Tracking!